Applying for a loan can be a difficult and strenuous process. Since its creation in 1949, the United States Department of Agriculture (USDA) has worked to assist low-to-moderate income households to find affordable housing. Using USDA Loans, qualified borrowers can live comfortably in safe and modern housing. The USDA Rural Development Loan program provides mortgage loans for eligible rural and suburban homebuyers with low-moderate incomes. There are a variety of USDA Loans, each administering the best loan plan for qualified borrowers. Guaranteed loans are the most popular type of USDA loans. Guaranteed loans cater to average income households. To qualify as an average income household, applicants must have an income up to 115% of the median household income of their surrounding area. Read more about USDA income breakdowns for guaranteed loans. Guaranteed loans allow buyers to redeem the lowest mortgage interest rates without a down payment. Without a down payment, the premium for mortgage insurance is paid out up front. Additionally, all guaranteed loans are 30-year terms with a fixed rate. Guaranteed loans include costs such as lender fees, renovation and repair costs, closing costs, and guarantee fees in the loan amount. Direct Loans, also known as the Section 502 Direct Loan Program, are only available for low to very low-income households considering purchasing a home. While income breakdowns vary by state, a low income is defined as 50% less than the median household income. Read more about USDA income breakdowns for direct loans. Additional qualifications include demonstrating a good credit history and the ability to pay monthly mortgage payments to the USDA. Direct loans have repayment options varying from 33 years to 38 years with USDA set interest rates. The USDA payment assistance is a subsidy, a government payment reducing the borrower’s mortgage payments for a short period of time. To be eligible for USDA Loans, borrowers must meet certain parameters such as household income and USDA approved property. 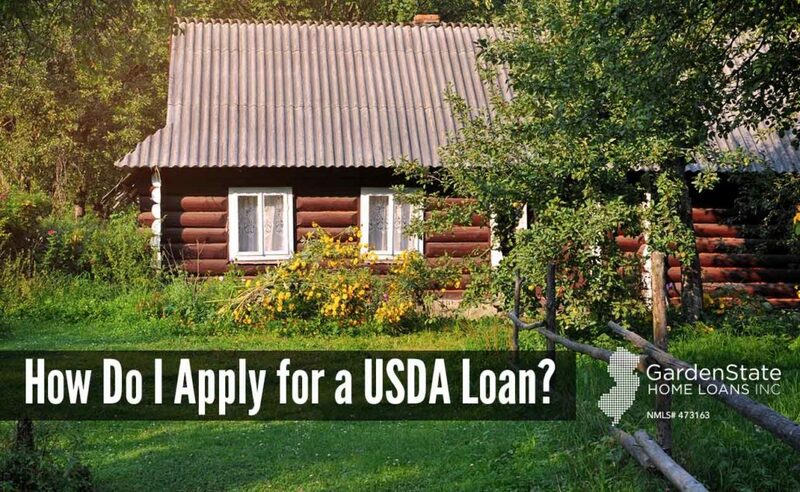 Check the Income and Property Eligibility Criteria to see if you qualify for USDA Loans. The USDA loans look at the total household income. If the total income, including spouse and children above 18, exceed the USDA maximum, then you are not eligible for a USDA Loan. USDA loans are only applied to homes purchased in USDA eligible property areas of the United States. Find if your area is eligible for the USDA Property Eligibility map. The USDA eligible properties are defined as “open country” and with populations less than 10,000 people (or 20,000 in areas with a lack of mortgage credit). After checking your eligibility, contact an approved lender in your area to start the mortgage process. Approved USDA lenders can be found here. Lenders will walk you through the journey to homeownership. 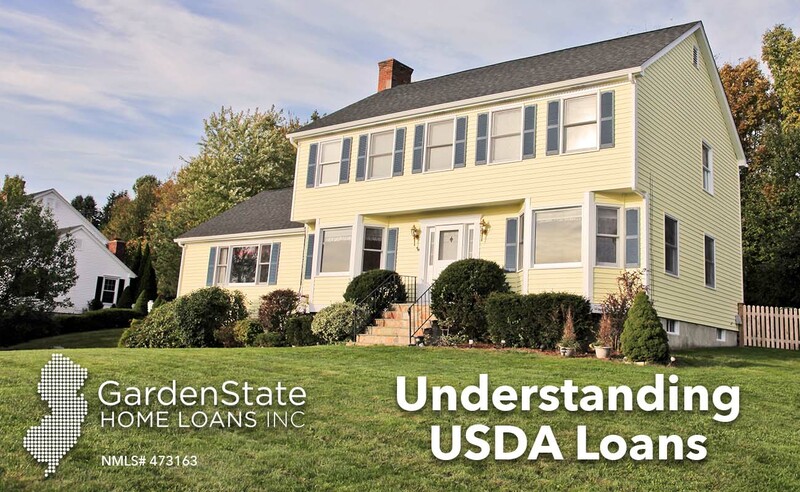 Check out the USDA information user-guide to learn more about USDA loans and purchasing a home. Pre-qualification provides your lender with your approximate credit rating, values of the eligible homes, current income, and any assets. This is a helpful step to overcome any potential roadblocks in your application. Maintaining a good credit score is beneficial during the loan process. While USDA is flexible with credit; good credit scores will speed up the pre-qualification process. Debt-to-income (DTI) ratio is another factor considered in the pre-qualification process. Debt-to-income is a percentage of your income that goes towards paying all the bills. For USDA loans, standard debt-to-income ratios are typically 29/41. Once the lender estimates viable housing options, they will take a more detailed look at your finances. This step includes considering current pay stubs, tax returns and W-2, employment history, evidence of stable compensation, and any banking or investment statements. It is wise to keep all your documents handy for the pre-approval process. The more you work with the lender, the easier and quicker the process. Being pre-approved for a mortgage does not guarantee a USDA loan. There are often certain conditions, such as not taking on any new debt or credit, stated on the pre-approval letter. Furthermore, the pre-approval letter will also detail purchase pricing, interest rates, and other information to improve the home purchasing process. In this step, work with your real estate agent to present your newly secured home to your lender. The real estate agent will prepare your offer, ensuring that seller pays the closing costs– maintaining a zero down loan. The buyer and the seller negotiate the closing costs and various other fees. However, if negotiations are at a standstill, USDA loan programs are also an option. The USDA allows gift funds from family or non-family members to pay for closing costs. Once an offer is accepted, an inspection is arranged to ensure the property meets USDA Home Loan standards. If the home doesn’t meet these standards, the seller must fix the issues before closing. This is agreed upon through an addendum to the contract detailing existing problems. It provides specifics necessary for the seller to fix the repairs such as what issues are being repaired, who will do it, and how they will be verified. After the inspection, the home is cleared for USDA financing, thus starting the closing process. An underwriter will review your information, ensuring no any major changes since the beginning your application process. If successful, the loan will be officially approved and a closing date will be scheduled. At closing, all the paperwork is signed and the keys are handed over. The United States Department of Agriculture (USDA) assists qualifying borrowers in finding affordable housing. USDA loans provide low-to-moderate income households with loans to finance safe and modern housing in eligible rural areas. By providing these loans, the USDA works to increase homeownership for lower-income families. Since its creation in 1949, the USDA has helped approximately 1 million Americans find housing. USDA-eligible properties are defined as “open country” areas with populations less than 10,000 based on the US Census. Areas with a population of 20,000 that have a serious lack of mortgage credit also qualify. Based on these USDA property eligibility guidelines, many suburban areas may also qualify. 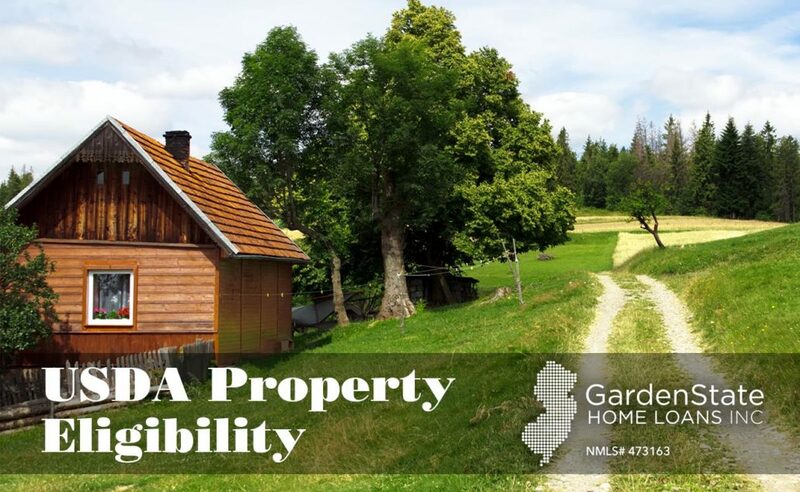 USDA-eligible properties are located across the country and can be easily found using the USDA property map and website. Use the USDA Property Eligibility map to see if your area is qualified. Also known as the USDA Rural Development Guaranteed Housing Loan program, there are a few requirements to be eligible for USDA loans. First, you must earn a low-to-moderate income, which can vary based on the county and state. Read more about USDA income breakdowns. Furthermore, your property must be your primary residence. The applicant must be a US citizen, non-citizen national, or a qualified alien. Additionally, applicants must be able to demonstrate that they are able to pay off the loan in a timely manner. This ability is assessed by factors such as income, debt, assets, and the amount of payment assistance you may be eligible to receive. To be eligible for these loans, you must also have a minimum 640 credit score, as set by the USDA in 2014. Finally, you must be legally allowed to receive government assistance. Check out more information on USDA Loans. USDA loans are accessible for both first time home buyers and repeated buyers. Leveraging USDA loans provide borrowers with a better and well-supported financial option for homeownership. A USDA loan, or USDA Rural Development loan, is a type of mortgage loan. It is specifically for low-to-moderate income people who live or are looking to live in a rural area offered by the United States Department of Agriculture. This helps many low-to-moderate income families get mortgage loans when they may not be able to get a standard mortgage loan. Banks are more willing to give out these loans because the USDA will cover 90% of the loan if the borrower defaults. This makes it much less risky for banks. How to Get a USDA Loan? There are some requirements you must meet before you can get a USDA loan. First, you must have a low-to-moderate income which varies by each county, you can find out if you’re income eligible in your county here. You have to agree to occupy the property as a primary residence and be a US citizen, non-citizen national, or a qualified alien. You must be legally able to obtain the loan and must not be banned from participation in federal programs. Finally, you have to show that you will be able to pay off the loan in a timely manner and purchase a property that is in an eligible location, you can see if the property you’re eyeing is in an eligible location here. There are many instances where mortgage lenders will offer other types of loans alongside the USDA loan. This is an attempt to swindle the borrower and get more out of the interaction. Mortgage insurance may be included and financed into the loan. The only limits that come with USDA loans are where the property can be and your income level. Other than that, there are no restrictions on lot size or loan amount. There aren’t any restrictions based on credit score, either.